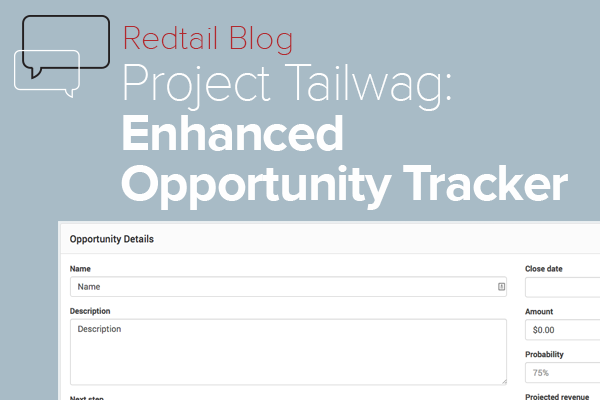 Today we continue our Sneak Peek Series on Project Tailwag with a look at enhancements we've made to the Opportunity Tracker in Redtail CRM. At first glance, you may not see that much different between these two versions of Opportunity Tracker, other than that Project Tailwag looks cleaner than the previous version. Let's dig a little deeper though. First, the highlighted areas above are both new, allowing you to see at a glance both the most recently added Opportunity to your database as well as the Opportunity next due to close. 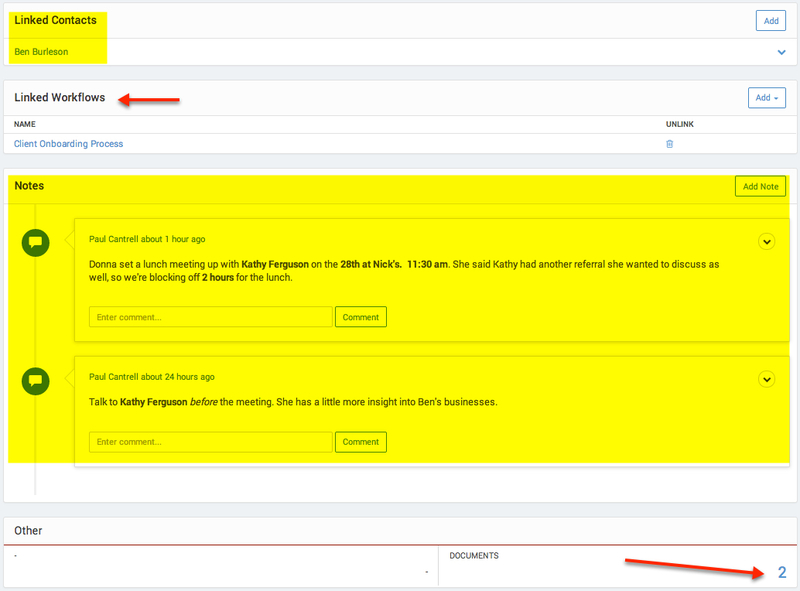 In regard to Related Notes for your opportunities, you also now have the ability to copy those Notes during creation to a Contact Record, when applicable. If you look at the screenshot above, you'll also see that I've pointed out two new features for Opportunities that haven't previously been available. 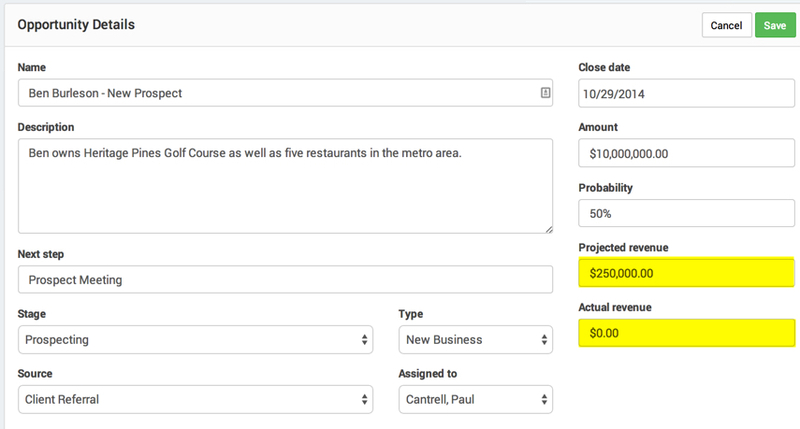 First, you can now attach Workflows to Opportunities to help manage your pipeline processes.